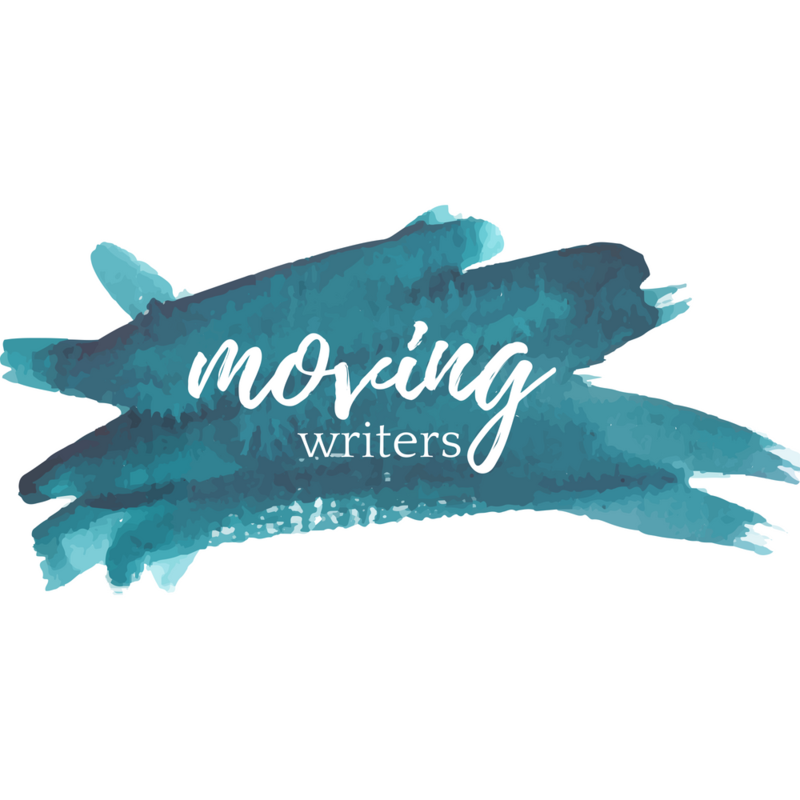 Friends, we are getting so excited to share Writing With Mentors with you on September 3. Writing a book feels kind of like that. Sadly, cars we do not have. But we have a whole world of mentor texts — our favorite things! 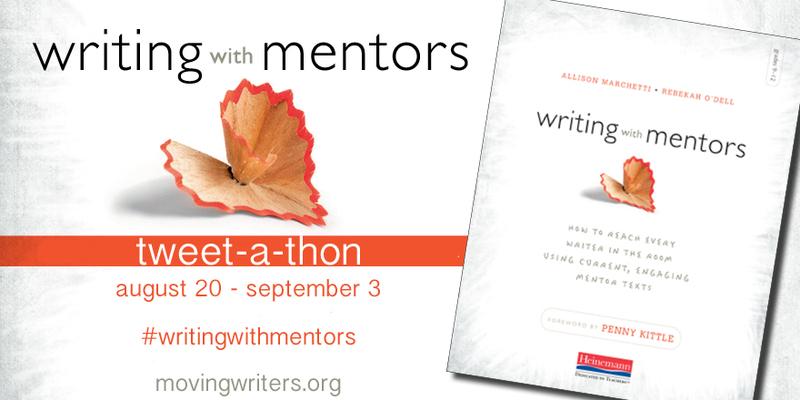 For each and every tweet, you will be entered to win one of three copies of Writing With Mentors. Winners will be chosen at random on September 3. 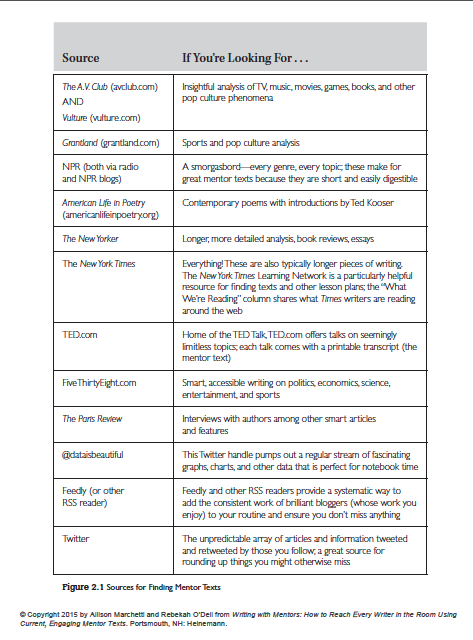 We will pull your tweets into blog posts — a one-stop shop for a daily list of hot-off-the-press mentor texts. We’ll also pull your mentor texts into our ever-growing Mentor Text Dropbox so that you can find them again whenever you need them. How Will You Find Great Mentor Texts? 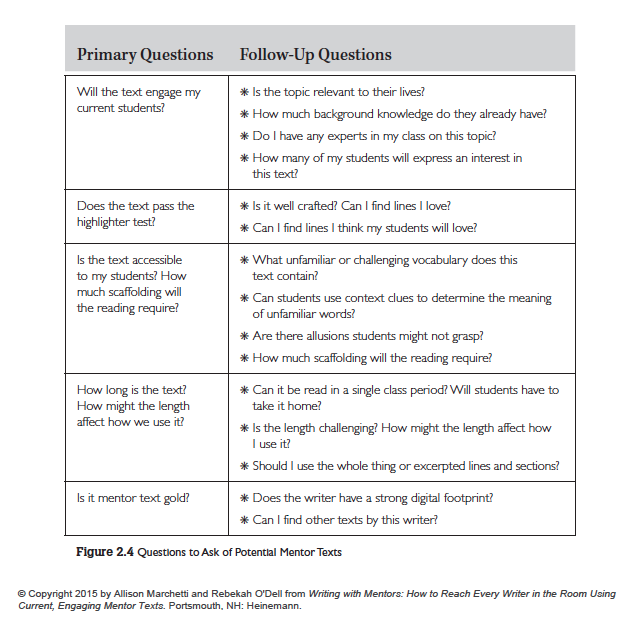 Writing With Mentors has an entire chapter dedicated to finding current, engaging mentor texts that will help you teach anything you need to teach or want to teach about writing! Want to see? Get ready, it’s sneak peek time! Like you, we do not have time to scour the Internet from top-to-bottom in the hopes of landing on good, relevant writing. So, we share our no-fail, go-to sources for mentor texts that win every time. After we find a mentor text that has potential, we ask it a series of questions. You have seen some of these before here, but we have also included them in handy chart form in Writing With Mentors so that you can grab it and use it quickly! How Is This Like Oprah’s Favorite Things? Beyond sharing in communal excitement (which is what Oprah’s Favorite Things is all about, right? ), you will leave our two-week Tweet-a-thon with tons of current, relevant mentor texts — to take into your classroom tomorrow and to use alongside the materials we provide for you in Writing With Mentors. You get a mentor text! You get a mentor text! You get a mentor text! And three of you will get a book, too! Questions about the Tweet-a-thon? What to tweet? How to play? Let us know! The Tweet-a-thon begins AUGUST 20.